6:00-6:45 Pre-Meetings (ending promptly at 6:45). All pre-meetings will be on second floor. Please consult signs as you enter for room assignment. Sports presentation about Hunter Hawks middle school and varsity sports by HCHS Athletic Director, Neil Potter. 7th & 8th Grade Rep meeting. Join a discussion among 7th grade travel class reps. The 8th grade executive rep will attend to share institutional knowledge. Annual Fund Committee invites parents interested in learning about the work of the committee. 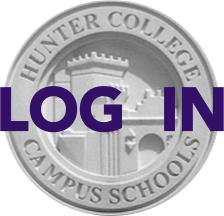 Send your Questions in Advance: If you have questions, please submit them to Carin Barnabel and Paul Radvaney at president@hunterpta.org; please put the topic in the subject line. Following the meeting, the PTA will supply minivan transportation to Flushing along the route of Queens Boulevard/Union Turnpike/Parsons Boulevard. To reserve a spot, please RSVP to Yunzhong Shu at bus@hunterpta.org by Tuesday, September 25th at noon and indicate "PTA meeting minivan" in the subject line.